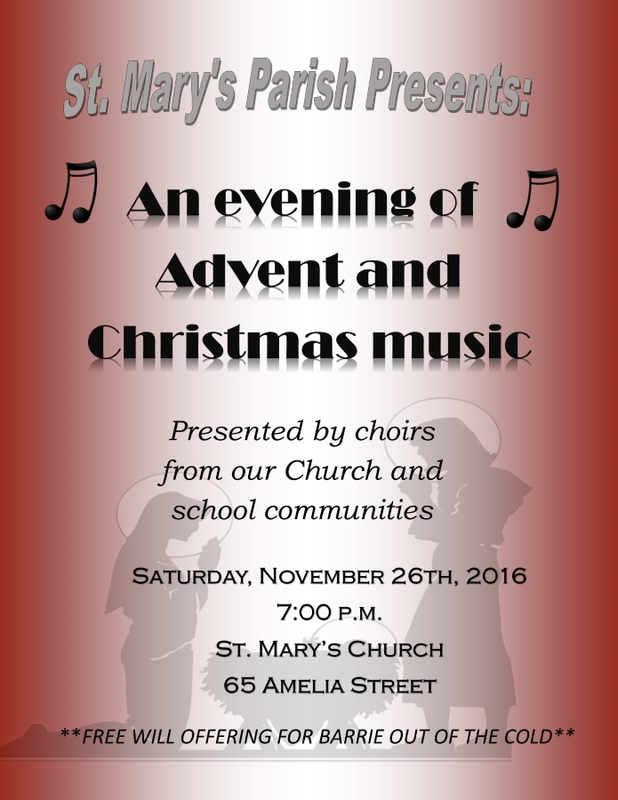 On Saturday, November 26, 2016, the first Saturday of Advent, St. Mary's Church will be hosting their annual Christmas Concert at 7:00 p.m. featuring Sacred music from our school choirs and St. Mary's Church choirs. Please come with your families and begin this Advent season together as a parish community! There will be a offering taken, and the proceeds will go to the Barrie Out of the Cold. Click here to view poster!